Spin and Win is a solid hyper-turbo sng profile with an advanced Push/Fold code spezialized for the 3max hyper Spins. 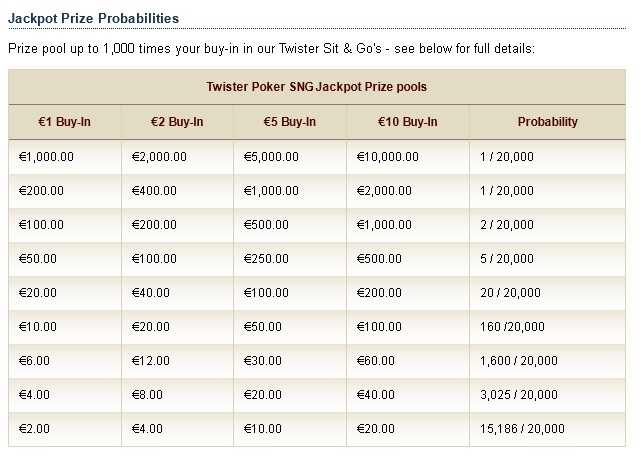 The code was modified with ICMIZER2 and includes over 700 calculations to ensure best mathematical push/fold poker. Standard push/fold code applies at 10bb but is fully customizable by the cutomer. The profile has 1 codeline for each blindsize and situation starting from 1bb - 74bb. The blindsize related to the codeline, you can see at the end of each line. you receive points for the leaderboard and additional cash rewards. at higher payout games. I head over on payouts with more than 6x BI payout. The Payout Spins have a great influence on the result you will see. Profile Price $19 including all future updates. Profile comes in .txt format. This profile was reviewed by me before being posted for sale. It appears to be an original work and gets my stamp of approval. Bovada and Ignition now have this mode too. Hmm...might be good to look into. I can't play there, bc they are restricted to US-Players only. But if those tables are supported there, feel free to take a shot. 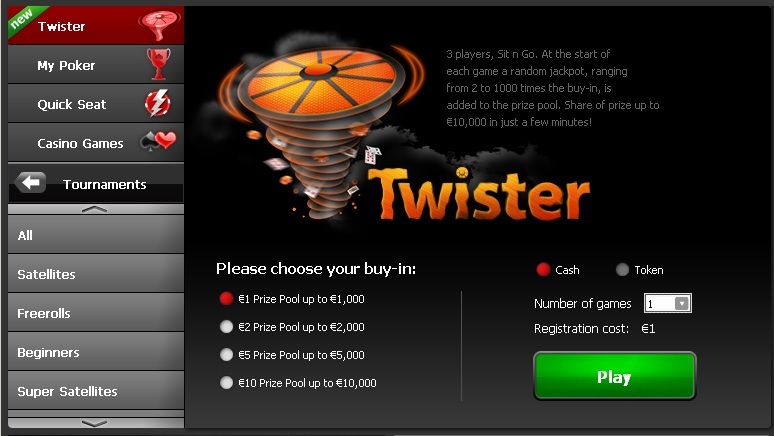 Twister Tables at iPoker fully working. See you at the tables! New price for the profile is $19. Awesome value!!! After the end of a Twister, is it possible for the Bot to continue to play an other Twister without any human interaction ? Because, i don't want to click each 2 minutes on ''' Play an other Twister '' during 8 hours a day so if the bot can do this click after the end of each Twister it will be awesome. Maybe you can send a request to one of the software coders. Is this profile still valid and 4 sale? Does it work on Ignition, has anyone tried? If you have reading issues specific for the 3max tables at those rooms, you need to open a thread in the bug section. We only can tell the bot via "Options" that there are either 2 or 4 players allowed at the table. This has nothing to do with the profile itself. They know it is an issue for bovada/ignition. Betonline works for me, so you may have additional issues. Profile Price has changed due to latest version results. Is v1.8.0 still the latest? The profile has nothing to do with the supported pokerrooms. 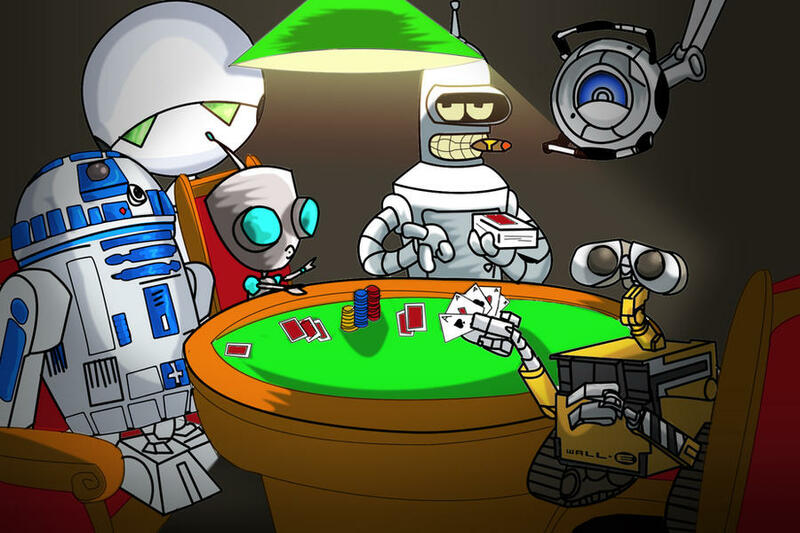 If you have problems with a specific pokerroom, contact the developer team to fix your issue.